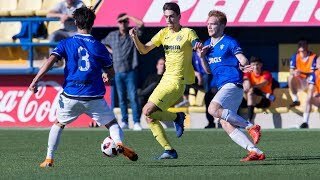 Villarreal used its very best skills and effectiveness to defeat CD Mirandés at the Stadium of Anduva (1-5) in a match where the yellows came back on the score against the Burgos side. This result allows the Yellows to stay in the race for second place. With a very committed team, Marcelino's men have been undefeated for ten straight matches. 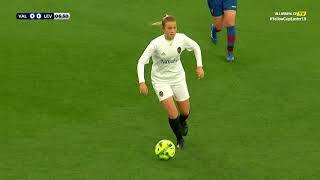 A slightly taller grass and a smaller pitch than usual indicated that the first part of the match would be a tactical battle between both teams. With a field of somewhat smaller dimensions than it is accustomed Submarine and a slightly taller grass, everything pointed to the first part would be a tactical battle between the two teams. There was a lot at stake, so both sides struggled to keep the match in control but Mirandés took the lead in the early going. The Yellows didn't enjoy a clear chance until the 20th minute with a shot by Gerard Moreno. Within the half hour, Muneta managed to beat Juan Carlos and complicated things to Marcelino's men. Villarreal's reaction, however, was immediate. Two minutes after the 1-0, Mario shot from the edge of the area and after hitting Caneda, it went right into the goal. The equalizer relaxed the Yellows, who felt even better after scoring the second goal in the 37th minute after an outstanding play by Perbet and Cani, the latter scoring a classy chip shot beating Goitia. In the second half, Mirandés stormed out and had a very clear opportunity within seconds of the restart, but Villarreal had not yet said its last word. In the 53rd minute, a great cross from the peak of the box by ​​the Mexican Javier Aquino and Gerard, who headed the ball to Perbet that scored the 1-3. After the goal, Villarreal took control of the game. Cani and Aquino were a constant threat to Mirandés and their replacements made the game even more comfortable for Villarreal. With seven minutes left, Jonathan Pereira placed a great shot from an acute angle that slipped below Goitia's legs to push up the fourth goal Villarreal to score. And almost at discount, Jony once again, assisted Perbet who fell down but managed to shoot from the ground certifying the win with a fifth goal. In the end, great victory for Yellows that allows them to continue in the fight for second place. 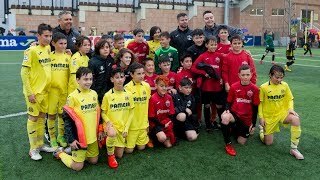 CD Mirandes: Goitia; Garmendia, Caneda, Soria, Koikili; Martins, Rúper, Iribas (Pablo Infante, 60 '), Muneta (Alain, 68'), Mujika (Luis Morán, 67 '), and Diaz de Cerio. 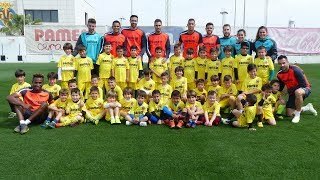 Villarreal CF: Juan Carlos, Mario, Musacchio, Mellberg (Jaume Costa, 46 '), Dorado, Aquinas, Bruno, Canteros (Marcos Senna, 69'), Cani, Gerard Moreno (Jonathan Pereira, 64 ') and Perbet. Goals: 1-0, min. 32: Muneta. 1-1, min. 34: Caneda, own goal. 2-1 min. 37: Cani. 1-3 min. 53: Perbet. 1-4, min. 82: Jonathan Pereira. 1-5, min. 89: Perbet. Referee: Trujillo Suarez (Canarian Committee). Yellow cards for Koikili (63 ') and Diaz de Cerio (79') from CD Mirandés and Mario (78 ') in the case of Villarreal.